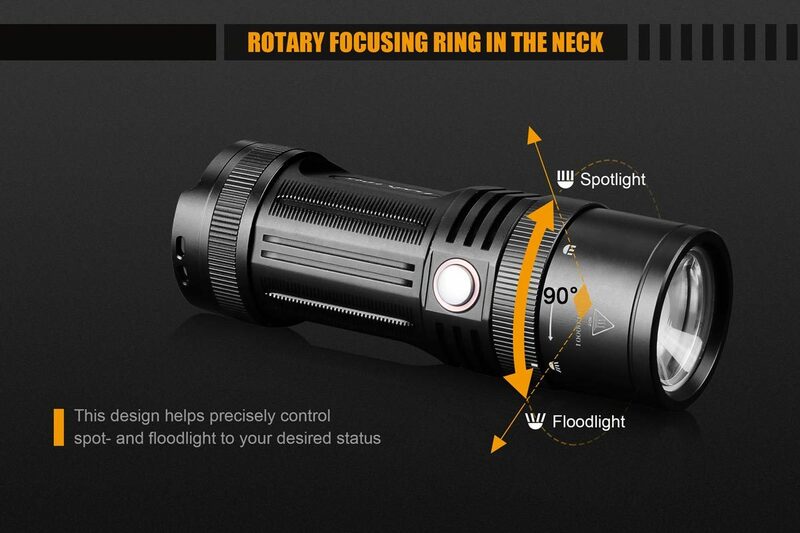 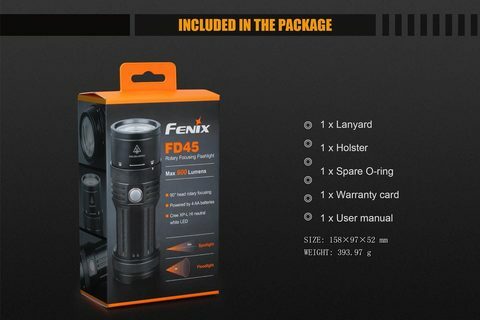 The Fenix FD45 Focus Flashlight features a focusable beam which, by a simple twist of the head, allows you to go from a 94° floodlight (for greater close-in visibility) to a tighter 7° spotlight (for far distance viewing). 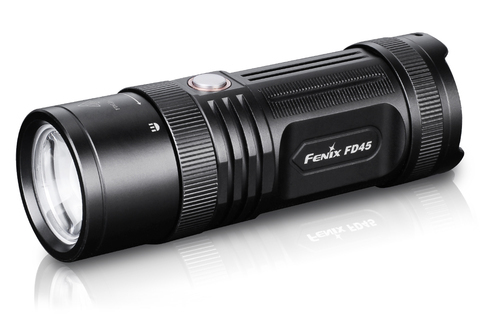 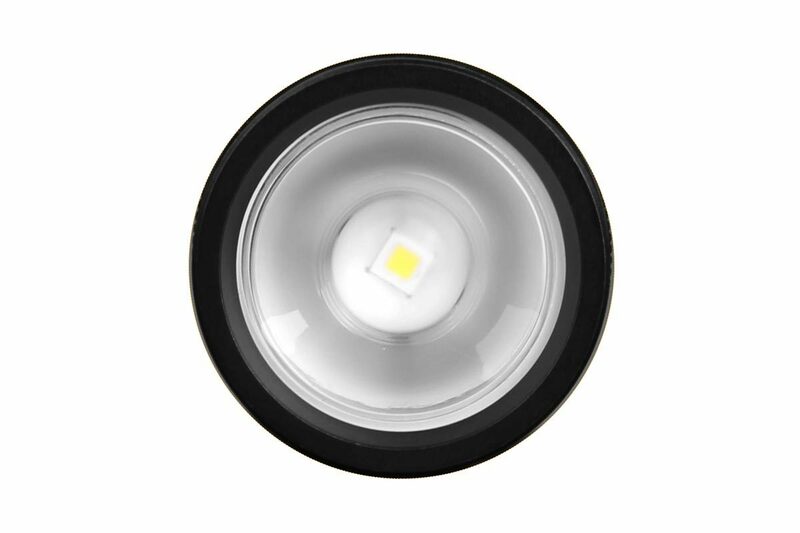 Fitted with a neutral white LED, the Fenix FD45 has a maximum output of 900 lumens and a maximum beam distance of 1,083 feet. 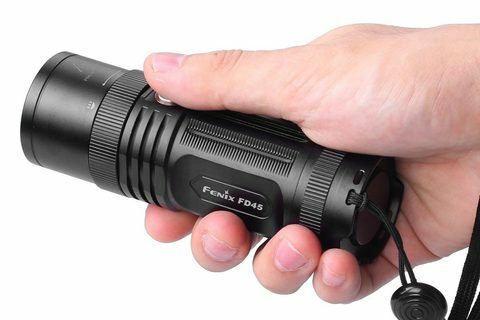 Powered by readily available 4 AA batteries, this flashlight has five brightness levels plus Strobe and SOS. 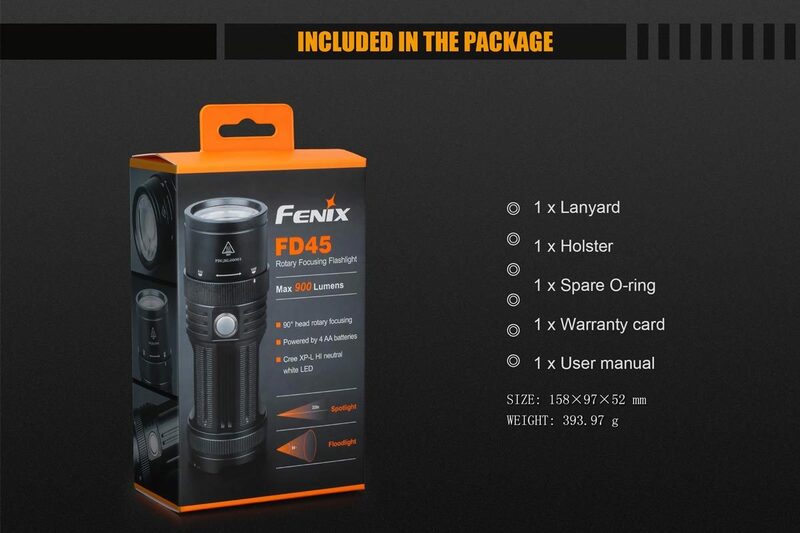 This compact tool is waterproof/dustproof and is great for general use and outdoor activities, where versatility of light and convenience of AA batteries are in great need.